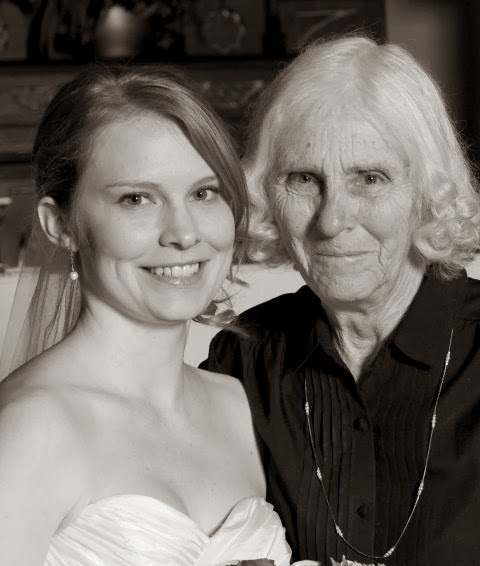 Grandma & me on my wedding Day. She hates getting her picture taken, so this is the most recent one I have of us of us together. Just don't tell her I posted it online! My parents are actually hosting, but with around 30-40 relatives, I like to help out as much as I can. And really, it’s just an excuse for me to do a bunch a baking and cooking. On the agenda are Sweet Potato Brioche Rolls and Butternut Squash Mac ‘n’ Cheese. Traditional items with classic fall ingredients added to make them a little more nutrient dense and hopefully, more flavorful and delicious! Although, If you’ve ever been to my family’s Thanksgiving you know my mom also makes some killer crescent rolls, and I’m not trying to upstage her! But her rolls disappear quicker than beer at a ‘cross race, and I want some leftover bread darn-it! I’ve also volunteered to take on the turkey. I’ve got my eye on a pasture raised, antibiotic and growth hormone free turkey from our local Co-Op, and it’s a steal for less than $2.00 a pound. I plan trying out this recipe that involves brining, for the big day. Wish me luck! And of course, no Thanksgiving meal is complete with pumpkin pie! I just finished baking three pie pumpkins to make fresh puree with, and am waiting for them to cool as I type. What are your favorite recipes to whip up for Thanksgiving? Are you trying out anything new this year? !